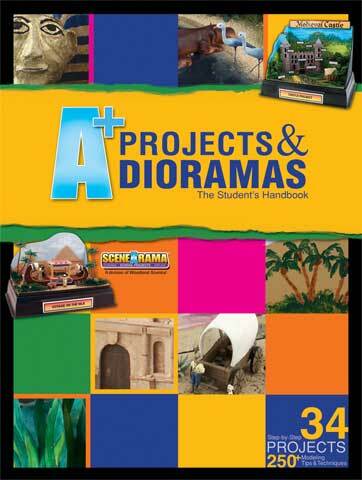 A 202-page, spiral-bound resource for modeling all kinds of projects and dioramas, whether for a school assignment or just for fun. The book is divided into two sections. The first section contains fully-illustrated step-by-step instructions for making 34 different projects for commonly studied subjects based on National Educational Standards. The second section contains more than 250 modeling tips and techniques detailing how to display a project, create terrain and landscape and sculpt, construct and detail structures. A great reference tool for school projects or other models.